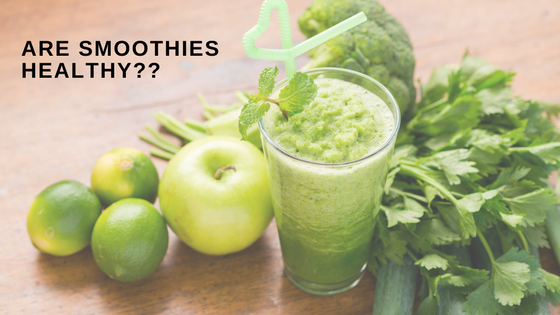 The smoothie options have increased exponentially over the last few years, it seems like every restaurant has put out their version of a ‘healthy’ smoothie. Unfortunately, not all are as advertised. They often contain heaps of sugar and poor quality ingredients, truthfully they would be better labeled as a milkshake. This throws our blood sugar level for a roller coaster ride and leaves us starving within the hour. So, what should we do about it? #1) Add Fibre- This is incredibly important for our health. It fills you up, assists in proper digestion and helps stabilize blood sugar levels. My suggestions for fiber include chia seeds, flax seeds, hemp seeds or fibrous frozen veggies like cauliflower. 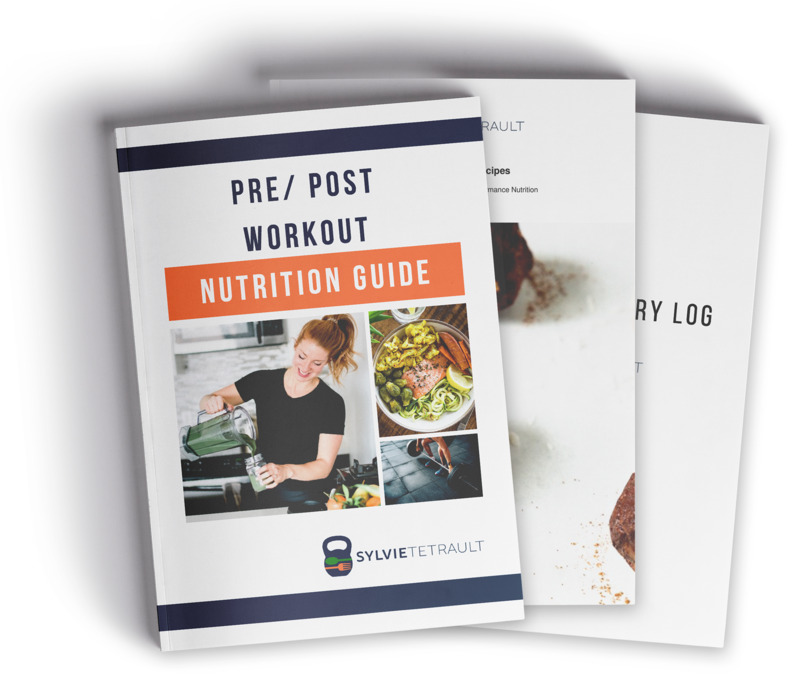 #2) Add Fat- We now hopefully know that fat is NOT the enemy, good quality fats will provide us with energy, assist in fat burning, help us recover from a tough workout and assist in proper brain function. Some healthy fat options to add include: nut or seed butter (almond, cashew, peanut etc. ), coconut oil or MCT oil or avocado. #3) Add protein- This is not a new suggestion but it is incredibly important to be included in your smoothie. Protein will help keep you satiated, balance blood sugar and help your cells regenerate and repair. #4) Add colour- This is where the veggies come in. I’m a big fan of adding dark leafy greens, or greens powder as well as frozen cauliflower, frozen zucchini etc. Veggies provide us with even more nutrients, especially in a condensed form. Including these nutrients will leave you satiated, cut cravings and powered up for your day! 4. Protein – (hemp seeds, or protein powder either quality whey or vegan). 5. Keep the fruit content to ¼ to ½ cup. 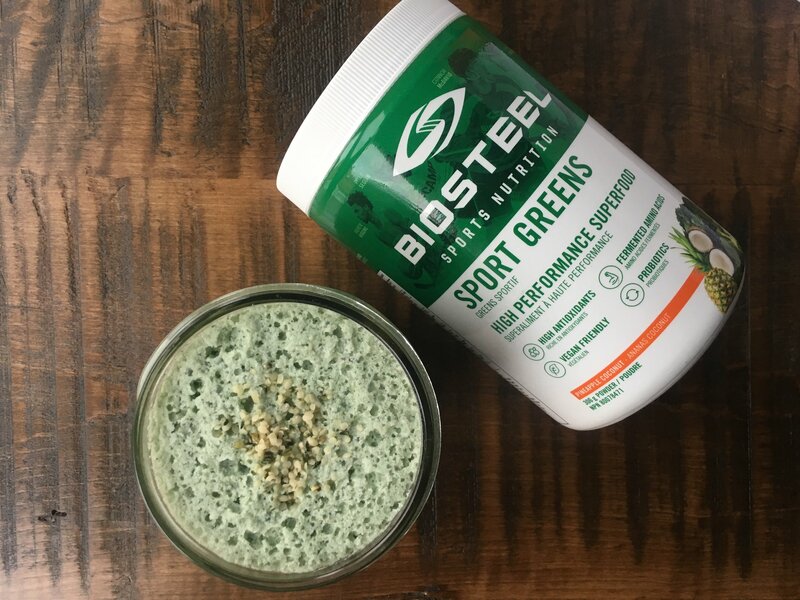 The new greens powder is fantastic and unlike some of the other products on the market it doesn’t taste like grass plus it is loaded with antioxidants, probiotics, amino acids and so on. This truly is a high-performance blend you can have without having to go out and buy a green juice, include it in with the recipe below following all the rules and it will kick-start your day in a big way.